Apple's introduction of iOS 7 in 2013 was very low-key when it came to iBeacon. The company's presentation offered no details about iBeacon's possible uses. However, the tech industry immediately saw the product's potential for marketing -- iBeacon could well revolutionize how companies and their customers interact. iBeacon is a trademarked name for the specific technology developed by Apple and included in its new phones using iOS 7. Strategically placed sensors, or beacons, receive a signal whenever an iPhone passes within range. The iBeacon can send data to the phone, which can interact with the beacon as well. To illustrate, suppose you own a jewelry store in a large mall. On any given day, many people pause to look at your window displays and then move on. Your beacon could transmit a coupon for a free cleaning cloth that is valid for the next hour only. Some of the people will ignore the coupon, but others will enter your store for their free gift -- and perhaps make a purchase, immediately or in the future. However, iBeacons can be used for much more than just coupons. They can make connections to find a GPS location, provide navigation aids or display a map, to name just a few of the many possible uses. To many, iBeacon sounds a lot like Near-Field Communications (NFC). The two do have some similarities, but the differences are critical. First of all, NFC has an upper range limit of eight inches, and optimal is under two inches. An iBeacon has an upper range of 50 meters. Devices enabled for NFC need an NFC chip in order to send data. The only requirement for iBeacon is an iPhone that supports Bluetooth low-energy technology. As a marketer, you are probably familiar with the concepts of passive and active engagements. With most traditional apps, the consumer is the one who initiates activity, leaving you in the passive mode. With iBeacons, you are the one in active mode -- you do not have to wait for the customer; you are initiating the interaction. An iBeacon can tell you precisely where the customer is located in an indoor area, as well as when a customer arrives or departs. This information can be used to trigger your selected interaction. Some applications also allow shoppers to pay for their purchases with iBeacon -- without ever having to interact with their phones. For marketers, iBeacons have the potential for use in a variety of areas. 1. Research: iBeacons can track the routes that shoppers follow inside a store to help optimize layout, or they can trigger questions at specific aisles when the shopper reaches the location. 2. Loyalty Programs: Customers no longer need to remember to check in to participate in loyalty programs. You can track returning customers and offer unexpected rewards. 3. 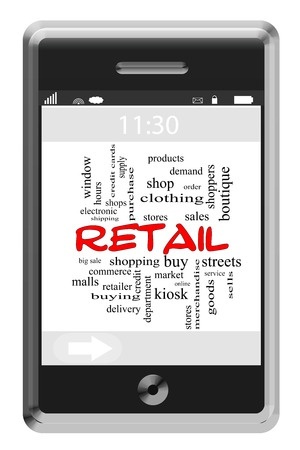 In-Store Service: You can use iBeacons to monitor customer behavior. For example, if a customer seems to be searching for something, you can alert a staff member that the customer may need assistance. 4. Targeted Marketing: An iBeacon might reveal that a customer breezed past the baby department, but spent a great deal of time in electronics. You can choose offers that are most likely to interest the shopper (electronics) and ignore offers for crib sheets. 5. Integration: iBeacons can supplement other marketing efforts, such as interactive kiosks or mobile websites. EX² Solutions is ready to function as your full-service technology partner to help you leverage the power of technology in your marketing efforts. If you have questions about iBeacons, kiosks or any other tech needs, please contact us.